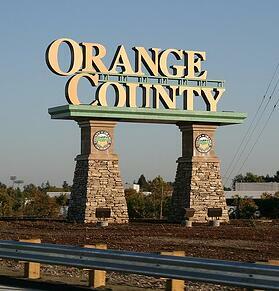 Life in the O.C. – Disneyland, beautiful communities, great beaches, and hazardous waste? While you may not think about Orange County, California as a heavy industrial area on par with the likes of Pittsburgh, Detroit or our neighbors to the North, Los Angeles, there is a significant manufacturing base in the county. With biotech and technology in Irvine, manufacturing in Anaheim, Fullerton, and Brea and aviation and military related firms in and around Seal Beach, there is a lot of hazardous waste being generated in the community. For companies that need hazardous waste disposal in Orange County, you are probably aware that you are responsible for the waste that your company generates from "cradle to grave," according to federal and state laws. Because of this lifetime responsibility, it is important that you select the right vendor. Finding a qualified vendor to handle your hazardous waste disposal needs is a difficult task which must be given careful consideration. We have outlined a few steps to take in your search for the right hazardous waste disposal company. The old adage "You get what you pay for," has never been truer than in selecting a great vendor. The right choice for your business isn't always the least expensive option. Businesses must be careful not to trade short term cost savings for long term headaches. You must be wary of operators that promise a deal, but fail to deliver on their promises. The news has stories of fly-by-night operators promising a good price on hazardous waste pickup and disposal and then illegally dumping the materials. 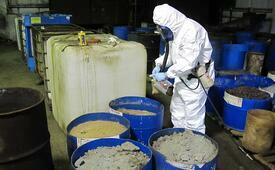 This can lead to big fines for hazardous waste violations and bad press for your company. Ensuring that your vendor is qualified to handle your hazardous waste streams will ensure your needs are taken care of appropriately and legally. Don’t trade short-term cost savings for long term liabilities. Once you have selected a great vendor it is important to review the quality of their service on a regular basis. Any business can become unreliable overnight. A simple method is to check the DTSC's Registered Hazardous Waste Transporter Database. Knowing who you are doing business with can eliminate any potential issues as your waste gets moved from "Cradle to Grave." Finding a qualified hazardous waste disposal Company in Orange County is not difficult but requires patience and diligence. Making sure that your new vendor can handle your waste streams and meet all the requirements listed above, is essential for any company looking to establish a strong relationship and reduce their liability. Companies that settle for cheap prices and unscrupulous operators are putting their businesses at risk. The consequences are clear – bad press, regulatory headaches and HUGE fines. In the long-term, the benefits you will realize from an approved and financially sound hazardous waste management company will protect your own business and ensure that your waste is taken care of appropriately.